April and her family are moving to a new city. This makes her sad, because it means she'll have to go to a new school and make new friends. She makes a wish while holding her Wishy Bear. Will her wish come true? 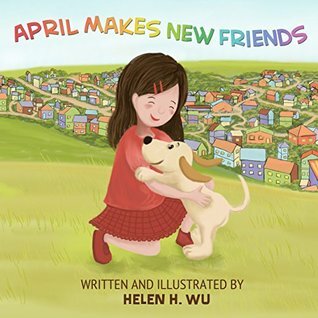 Great story about friendship and taking chances. In Santa's Chocolate Factory, Oliver, Jumpy and friends visit Santa's Factory Open House that sits between two clouds in the sky. They get there by riding on the back of a Dino. they sample his candy and find out how it is made when they are ready to leave Joey can't be found. They assume he took a flight back home. He isn't there. What happened to him and how will he get back home? In Triller we find a beautiful bird named Triller. He has one of the most beautiful voices ever. Oliver encourages him to enter a singing contest. What will happen when Triller loses his voice? 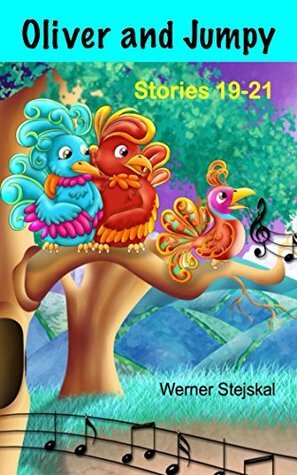 I loved the pictures of Triller and the other birds in this book. For some reason their style just really wowed me. In April Volcano, it is April Fool's Day. Oliver is trying to plan a prank on Jumpy and Joey. When he jumps out of his tree house he lands in water. This is a prank Jumpy and Joey played on Oliver. While he is trying to think of a way to prank them back their volcano suddenly erupts. How will they get away from this catastrophe? I love Oliver's books. They are always bright, colorful and usually have some sort of lesson to them. 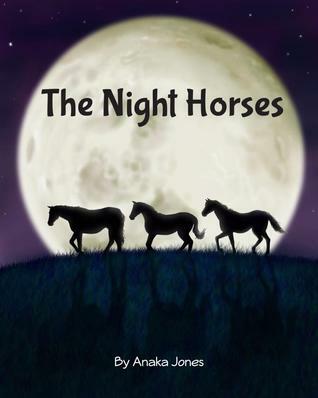 This is a cute story about what horses do during the day with their humans and then what they do at night when their owners go home. You know, things like disco dancing, glamour time. This is cute and fun to read. Great examples of personification can be found in this book so it would be a great mentor text for teaching personification. 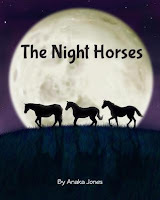 This is a sweet story of everything that goes to sleep, toys, animals, mothers and children. 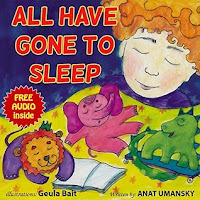 This would be a great bedtime story. 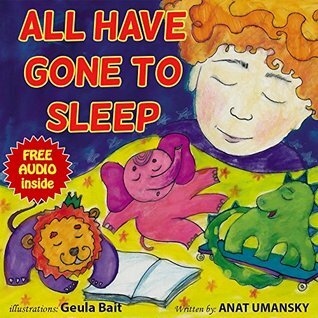 This is one of those picture books that brings out your emotions. Grace loves to visit her Grandpa Walt, who is a well known artist. She thinks because he is famous that everyone loves him. She doesn't understand that some people only love the money he can bring them. 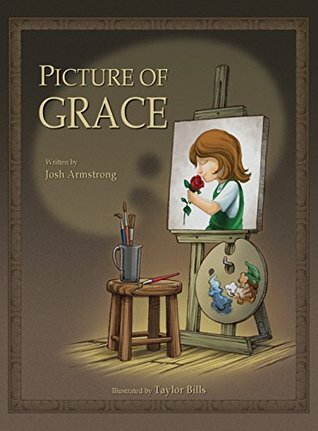 When he dies without finishing his last painting, Grace decides to finish it for him. This makes the gallery owner angry, but makes the family happy. You must read this book to find out why such a conflict and the importance of this one painting. This is an absolutely beautiful book, in words and illustrations. 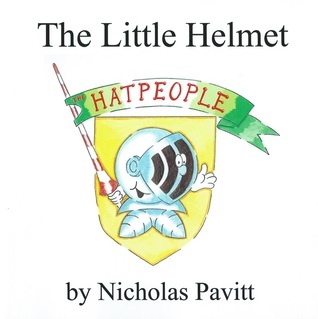 Hatland is under attack by a flying fire-breathing dragon. The king and queen ask the magician if he can stop the dragon. Hatricks replies he cannot. They call for their brave knights and ask which of them will save the kingdom. None of them reply. A brave little helmet stopped by the guards volunteers to save them all. The king gives him their finest horse and the magician gives him a magic sandwich and magic flask. He travels until he finds the dragon sitting near a well crying. Why is the dragon crying and what will happen to Hatville? This is a cute story about fearing what you don't understand and friendship. This is another one of those stories with a great lesson about teamwork. 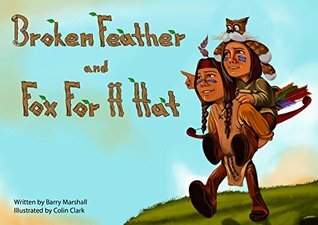 Broken Feather and Fox-For-A-Hat are two brothers who take their father's bow and arrows and slip away. They explore and find a rabbit they want to bring home for dinner. One of them is carrying the bow and one is carrying the arrows. Neither wants to give up what they have and the rabbit gets away. Then they find a bear with some honey. They each try to give the other their bow or arrow to hold so they can go get the honey, but both refuse and the bear takes the honey and leaves. They find their father's canoe and argue over who will paddle, losing the paddle in the water. When the canoe gets stuck they try to walk back home. Will they find their way home? Will they learn to cooperate and help each other? This is a wonderful book about cooperation and team work. The illustrations are wonderful. Things at home are getting hectic as Leanna is about to have a new sibling. On the night her mom leaves for the hospital her uncle tells Leanna if she has any complaints she can take them to the stork. Being a big sister is hard because her baby sister gets into her things and bites her. She decides to complain to the stork to take her back. As she thinks about all of the terrible things her sister has done she begins to think about the great things she has done as well. 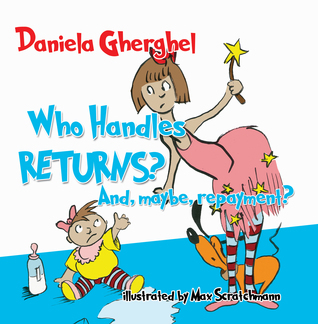 This would be a great book to read to a child who is expecting a new baby brother or sister. It is a way to talk about the changes that will be coming to the family and how to handle some of those situations. It gives the older child a look at some of the great things about having a baby brother or sister.